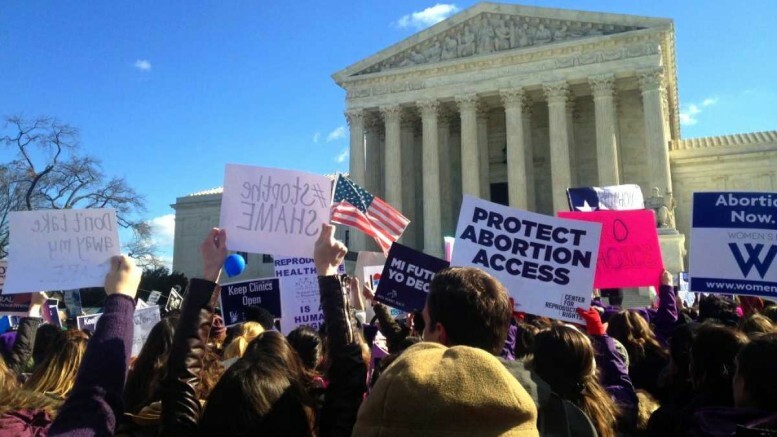 In a dramatic ruling, the Supreme Court threw out a Texas abortion case earlier today. The 2013 Texas law, HB 2, was passed to prevent cases like those tried earlier that year involving Kermit Gosnell who was convicted of murder for killing babies that were born alive during abortions. The law required doctors preforming abortions to keep clean, hospital-like rooms for their operations and to have admitting privileges at a nearby hospital. HB 2 would result in the controversial closing of abortion clinics across the state of Texas. While this is true, the law would actually not have made it considerably more difficult for a woman to acquire an abortion if she deemed it a necessity, only making the procedures safer and providing further care to the women, or child, if need be. There was no significant health-related problem that the new law helped to cure. We agree with the District Court that the surgical-center requirement, like the admitting-privileges requirement, provides few, if any, health benefits for women, poses a substantial obstacle to women seeking abortions, and constitutes an “undue burden” on their constitutional right to do so. A sentiment which is obviously untrue given the serious nature of even a routine abortion—there’s risk involved in any procedure. Both Barack Obama and Democratic presidential hopeful Hillary Clinton praised the Court’s decision. Donald Trump has not yet tweeted about the Court ruling, but it will likely increase fervor among his supporters who claim the potential for a conservative SCOTUS judge is the election’s most important issue. This is an important ruling in the conservative combat against abortion, but the fight is not over. States like Oklahoma have recently passed controversial pro-life measures that will remain in the national spotlight keeping focus on the large percentage of Americans who are still fighting for the rights of the unborn.